We kicked off our 10 days of simple toddler play challenge with a super easy and wet activity that is always a hit at our house! We had a CAR WASH! This has been a favorite since my oldest was little (check out these pictures here from our first car wash years ago!). It was so fun to try this activity with my littlest and see her having so much fun! You only need a few materials and water and it is fun to just sit nearby and watch kids play and explore! 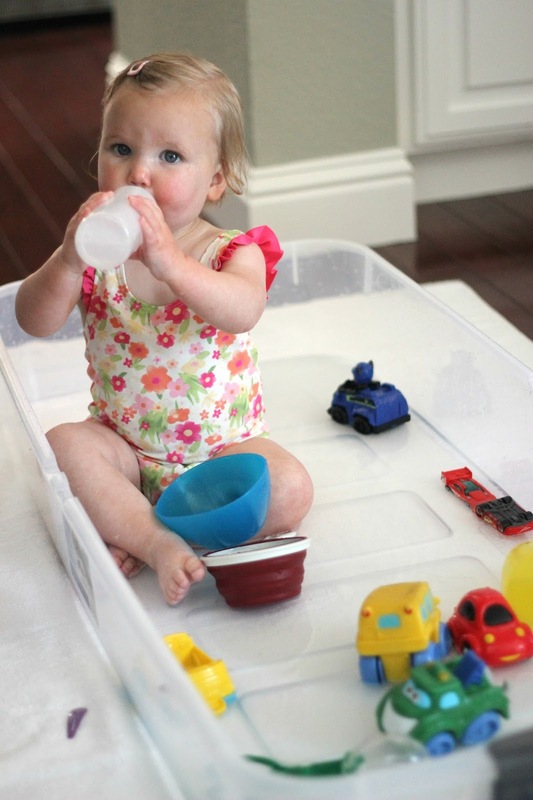 Toss all of the materials in the tub with some water and let the kids play! I like to take time introducing each item to my toddler and teaching her how it works. I also had my older kids help me out a bit since my daughter is always more interested in copying them than me! We splashed, squirted, poured, and drank! I teased over on Instagram (follow me at @kristinatoddlerapproved if you don't already) that this was my daughter's "drinking tub." 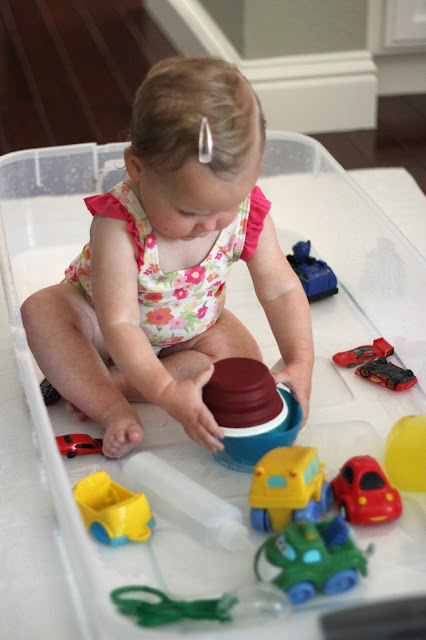 If you have a little one learning to use cups, this is a simple way to practice! My daughter loved sipping using her cups and it wasn't a big deal if she spilled it all over since she was in water already. Eventually my preschooler jumped in the tub too and had fun squirting the cars alongside my daughter. Although this activity could also be done in the bathtub, there is something extra fun about doing it right in the middle of the kitchen! 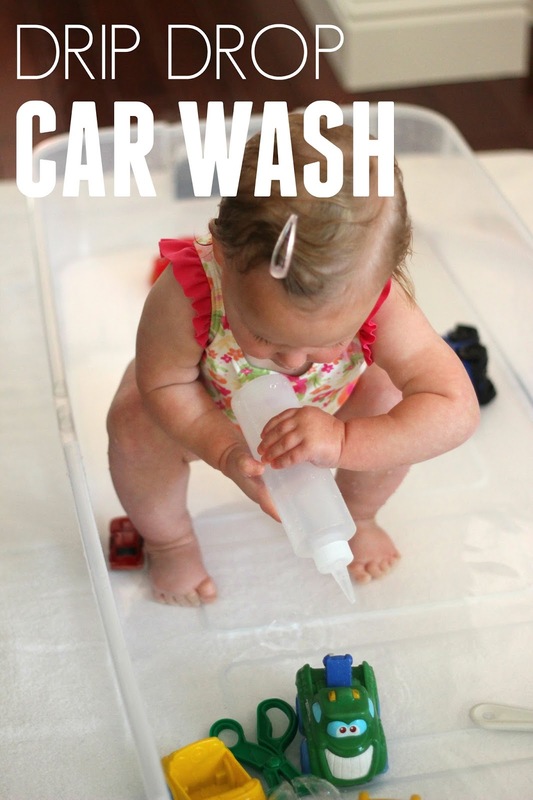 Have you ever tried a car wash with your kids before? 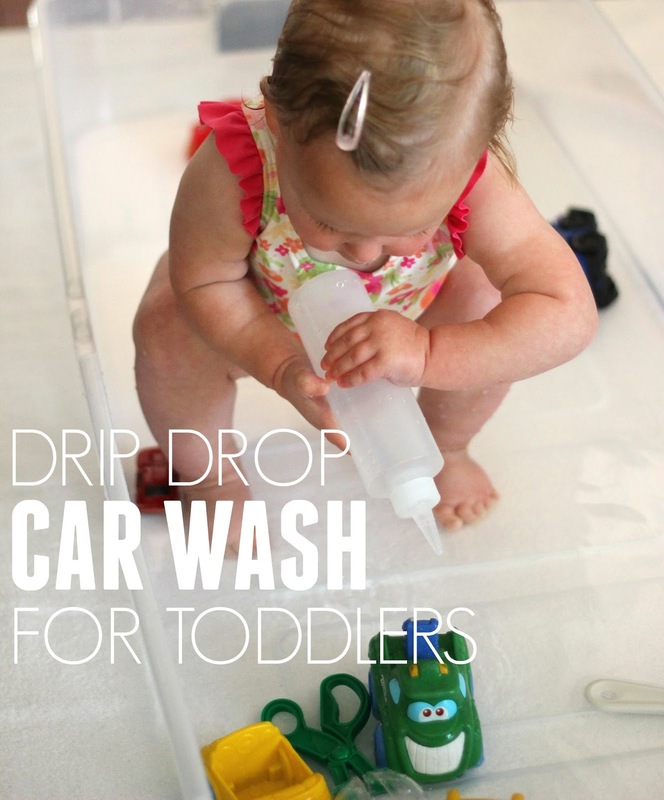 We love doing this outside with our large ride on toys and also using spray bottles to wash our minivan too! There are so many fun ways to play with water- here are 20 water play ideas for toddlers! Do you have any other favorite water play activities? Check out our 10 Days of Simple Toddler Activities Challenge landing page HERE to see what we are up to next! This is a great idea! My 16 month old will make a gigantic mess but hey, that's what being a kid is about!